Before we get to the interesting topic of Dr. “Kennedy’s” name and his history we should explore at least one more instance of where he had stolen an invention from other scientists. As I’ve mentioned before, all instances of where “Kennedy” has stolen inventions, with the exception of those involving myself and P.V. 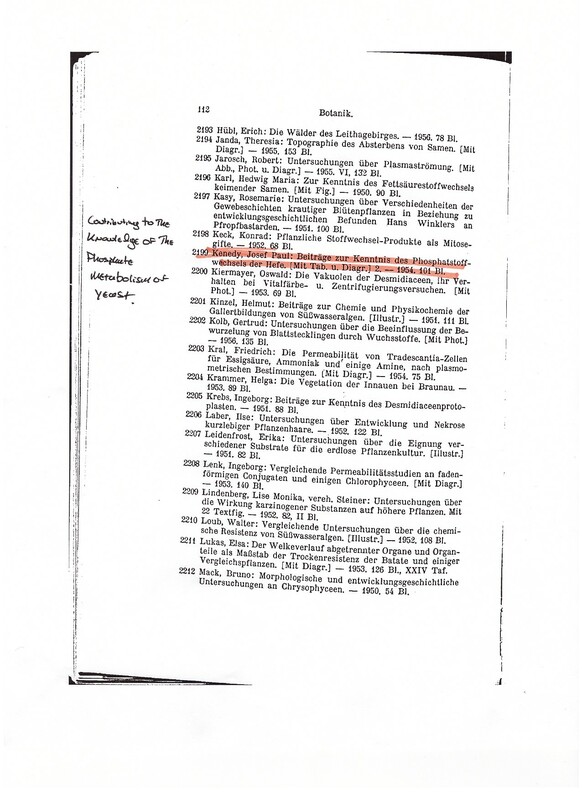 Kurian, were discovered by accident during reviews of the chemical literature. Since I conduct quite a bit of work in this field do not be surprised if in the not too distant future I discover more instances of this behavior (which I will post). Now to our final example of stolen inventions by “Kennedy”. I have to preface this section of the current blog posting with the following. At this juncture I do not know the true identity of “Dr. J.P. Kennedy.” Nor can I prove or disprove the story he provides of his background. What I can say is he has operated under no less than four different aliases over the past 70 years and there appear to be important discrepancies between the story he tells and what available records detail! Another thing I can say without a doubt is that no one, including his former students and his employers, can provide concrete evidence as to his true identity or history and my guess is that “Dr. Kennedy” also cannot furnish credentials that prove beyond a shadow of a doubt that he is who he claims to be! It first makes sense to refer to a Cleveland Plain Dealer* article entitled “Joseph Kennedy, Akron’s King of Polymers, proves inventors are young at heart”11 and see what “Kennedy” has to say concerning his true identity and past. According to this article “Kennedy’s” real name is “Joseph Kenedi”.11 “Kennedy” claims to have been born on July 7th, 1928 to a middle class family.12 (see below) Furthermore, “Kennedy” claims to have attended college in Hungary up to 1948 at which he left (at age 19) because the communists forced him out.11 He makes mention that the Nazis killed his father and that the Russians imprisoned his mother.11 It was then that he claims to have fled to Vienna to finish a college degree.11 Now we need to see what the records actually reveal in terms of aliases and the time line “Kennedy” claims. 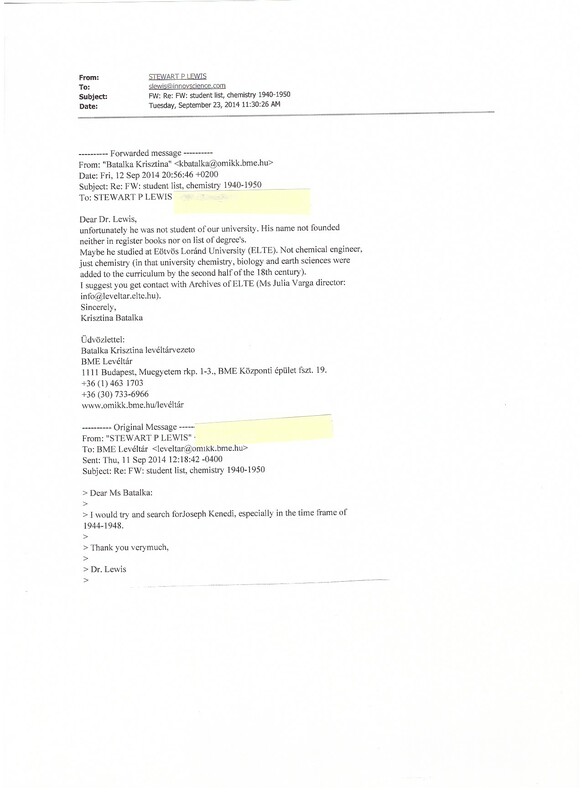 I first attempted to locate records on “Kennedy” by approaching Efraim Zuroff of the Simon Wiesenthal Center for help. Zuroff was incapable of finding anything! 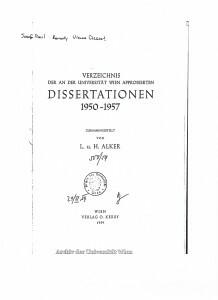 So I began my own investigation starting at the University of Vienna where “Kennedy” claims to have studied.11 Indeed, I did find that a “Josef Paul Kenedy” was awarded a degree (Contributing to the Knowledge of the Phosphate Metabolism of Yeast) here during 1954, following his supposed expulsion from Hungary. (see below). It is unknown how he was able to pay for his schooling, food, and lodging at this time (stipend?) but we should note the change in his name. 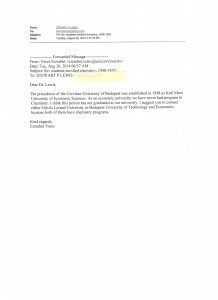 It also seems unlikely that he entered school in 1948 as this would mean six years were spent in a Ph.D. program and it would seem more likely he began studies either mid-late 1949 or in 1950. This latter observation will make sense to the reader when they see the discrepancy between school records in Hungary and the story told by “Kennedy” to the Plain Dealer. Having discovered the information contained in the previous paragraph I attempted to travel back in time and figure out which college “Kennedy” had attended in Hungary prior to moving to Vienna. According to “Kennedy” it was “The University of Budapest” which he was expelled from in 1948.11 Of schools that went by that name, both Corvinus University of Budapest and Budapest University of Technology and Economics told me that no one under the “Kennedy” name (or anything remotely similar) attended school there during the time frame 1945-1950. (see below). 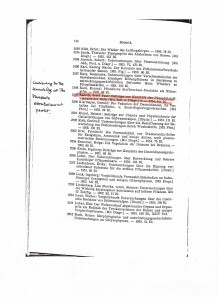 I then discovered that Eötvös Loránd University (formerly Pázmany Péter University) did have records of a student who went by two aliases (“Joseph Kenedi” and “Józef Pál Kenedy”) during the period 1946-1949. (see below) One interesting fact here is that “Kennedy” had already been operating under two names even during this early stage of his life! The other interesting point is he finished both semesters in 1948, and thus his expulsion from school would appear to have occurred in the year of 1949 making him 20 years of age. One more important fact becomes apparent in the response given to me by this college. That is, from the year 1949 to 1952 this school has no records on its chemistry students and as such it is impossible to determine what actually happened to “Joseph Kenedi” or “Józef Pál Kenedy”. As the reader can see, “Kennedy” not only supplies dates that are off by one year but he also doesn’t mention his other alias in Hungary. One thing I find very unusual is that in this particular news article11 “Kennedy” states the Nazis killed his father and yet the Russians (who only ravaged Germany and Hungary due to their hatred of the Nazis) put his mother in prison. These two facts seem incompatible. “Kennedy’s” continual explanation of being “too bourgeois” also does not seem to cut the mustard when it comes to rationalizing these two seemingly disparate events. One has to question how “Kennedy” and his mother would have escaped execution by the Nazis, especially since the Nazis purged Hungary of what they deemed “undesirables” prior to the end of the war. Another relevant question is how would “Kennedy” have attended college while his mother was imprisoned? Yet another question is if “Kennedy’s” father was an enemy of the Nazis’ why would the Russians imprison his mother? Finally, why would “Kennedy” extol Stalin as not being a bad guy (see blog posting part 9 of this series) when the Russians imprisoned his mother? It is interesting as a side note to point out that Joseph Stalin is also an alias. Could “Kennedy’s” name changes be a veiled attempt to feign being “American born” just as Uncle Joe’s was to portray himself as being steel (stalin) like? Did “Kennedy” steal this identity from someone else prior to leaving Hungary? There are four final things I wish to touch on before reaching the conclusions section. 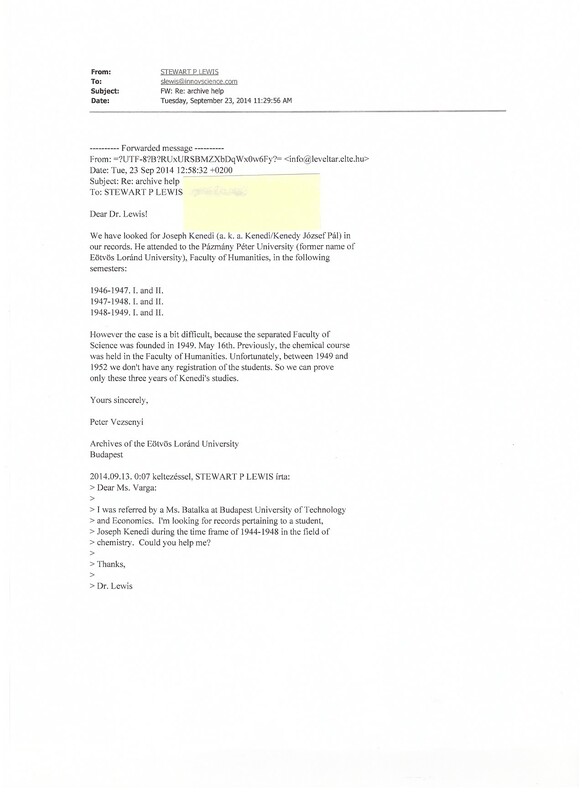 One is, having spent many hours in “Kennedy’s” office at U. Akron I recall the honorary diploma he received being on prominent display just above the computer were he use to collect hardcopies of the ideas of his students. Although my memory of the name on it is quite vague I do seem to recall the name was listed as “Josephus Pal Kenedi”. If so, this would yet be a fifth alias! It would be of interest for people who wish to investigate this matter further to determine if the name listed on this diploma matches up to one of the four aliases that are now recorded as having been used by this individual. The second point is “Kennedy” has been recently touting himself as the “inventor” of block copolymers used in stents for arteries when the truth is he is only a co-inventor and not a sole inventor of such block copolymers.13,14 It is of interest to note that the initial patent13 is owned by Firestone and the author of this blog suspects that a similar occurrence to that involving Terry Hogan of Firestone may have occurred. ** A third point is that a cursory patent search of approximately 100 patents showed that “Kennedy” is only a sole inventor on less than 10 % of them! *** Finally, “Kennedy” is quick to state he is the author of multiple books, when in reality there are coauthors on all them but one and it is sad to think he cannot even give credit to these people. Again, we see a track record of lies and deception being promulgated by this individual. Throughout this expose series a large number of irrefutable facts have been presented that demonstrate the following. 1. Dr. “Kennedy” has stolen numerous inventions from others. 2. 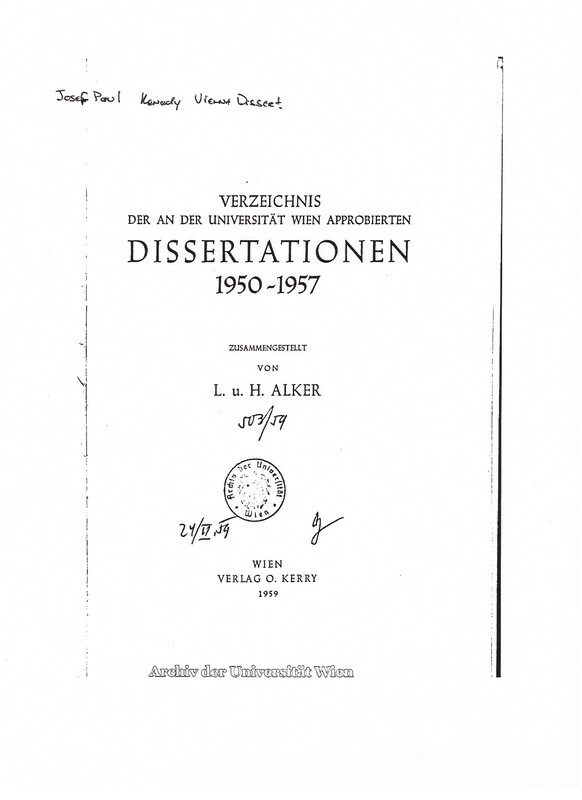 This same individual tried to perpetrate intellectual fraud via falsification of research data. 3. 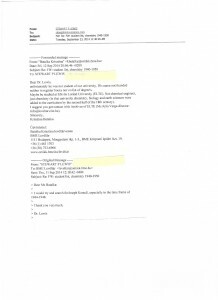 Dr. “Kennedy” purposefully falsified accident report forms with U. Akron. 4. Dr. “Kennedy” operated a dangerous laboratory environment. 5. This person has had no less than four different aliases. 6. University of Akron employees and newspapers from Cleveland and Akron are complicit in a cover up of these facts. 7. No official documents appear to exist that would corroborate Dr. “Kennedy’s” history or prove his true identity. When history is written it is the belief of the author of this blog series that Dr. “Kennedy” will be discovered to one of the biggest frauds that the polymer science field has ever witnessed and that U. Akron will have a serious black eye which will never heal!!! 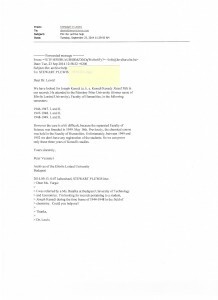 * Before ending this blog series I want to make it clear that I have contacted all of the following (in many instances multiple times) and none have attempted to investigate “Kennedy” or take steps to punish him: U. Akron, The American Chemical Society, The National Science Foundation, The Attorney General of Ohio, The Hungarian Academy of Sciences, The Cleveland Plain Dealer, and The Akron Beacon Journal. ** The first of these patents deals only with diblock copolymers and not triblock copolymers. The latter are the actual thermoplastic elastomers used in the stent application. My point here is “Kennedy’s” initial foray into block copolymers seems to have come from Firestone and secondly the earliest report of tri-blocks in the patent literature has no less than two other inventors! It is sad to think that such a simple concept as block copolymers couldn’t be solely devised by “Kennedy” as it was well established for anionic polymerization many years prior. *** I may have a lot more to say about this in the not too distant future once I dig up some more important documents. The revelations will most likely be quite damning to say the least. (1) Kennedy, J. P. Cationic Polymerization Catalyst U.S. Patent 4,029,866, 1977. (2) Kennedy, J. P. Cationic Polymerization Catalyst U.S. Patent 4,081,590, 1978. (3) Baccaredda, M.; Giusti, P.; Priola, A.; Cesca, S. Catalysts Suitable for use in the Polymerization of Unsaturated Compounds; The Polymerization Processes Employing such Catalysts and Products Obtained by the Processes GB Patent 1,362,295, 1974. (4) Cesca, S.; Giusti, P.; Magagnini, P. L.; Priola, A. Studies on Polymerizations Initiated by Syncatalytic Systems Based on Aluminum Organic Compounds, 4 Macromol. Chem. Phys. 1975, 176, 2319-2337. (5) Cesca, S.; Priola, A.; Bruzzone, M.; Ferraris, G.; Giusti, P. Studies on Polymerizations Initiated by Syncatalytic Systems Based on Aluminum Organic Compounds, 5 Macromol. Chem. Phys. 1975, 176, 2339-2358. (6) Giusti, P.; Priola, A.; Magagnini, P. L.; Narducci, P. Studies on Polymerizations Initiated by Syncatalytic Systems Based on Aluminum Organic Compounds, 3 Macromol. Chem. Phys. 1975, 176, 2303-2317. (7) Maina, M. D.; Cesca, S.; Giusti, P.; Ferraris, G.; Magagnini, P. L. Studies on Polymerizations Initiated by Syncatalytic Systems Based on Aluminum Organic Compounds, 6 Macromol. Chem. Phys. 1977, 178, 2223-2234. (8) Priola, A.; Cesca, S.; Ferraris, G.; Maina, M. Studies on Polymerizations Initiated by Syncatalytic Systems Based on Aluminum Organic Compounds, 2 Macromol. Chem. Phys. 1975, 176, 2289-2302. (9) Priola, A.; Ferraris, G.; Maina, M.; Giusti, P. Studies on Polymerizations Initiated by Syncatalytic Systems Based on Aluminum Organic Compounds, 1 Macromol. Chem. Phys. 1975, 176, 2271-2288. (10) Kennedy, J. P.; Sivaram, S. Olefin Polymerization and Copolymerization with Alkylaluminum-Initiator Systems. VII. Initiation by Electrophilic Halogens J. Macromol. Sci., Part A-Chem. 1973, A7, 969-989. (11) Smith, R. L. Joseph Kennedy, Akron’s King of Polymers, proves inventors are young at heart. The Plain Dealer, September 6, 2012. (12) Peetz, R. Visions in Macromolecular Engineering. The Maurice Morton Institute of Polymer Science, U. Akron, June 2, 2003. (13) Kennedy, J. P.; Melby, E. G. Diblock Copolymers and Process of Preparing Same U.S. Patent 3,994,993, 1976. (14) Kennedy, J. P.; Smith, R. A.; Ross, L. R., Jr. Novel Telechelic Polymers, Block Copolymers and Processes for the Preparation Thereof U.S. Patent 4,276,394, 1981.